Conservation work of WWF Austria is especially dedicated to the Alpine and Danube Region. In the Alpine Region we fight for the last remaining free flowing rivers, the return of large carnivores (wolf, bear and lynx) as well as the protection of the last pristine natural and wild areas of the Alps. 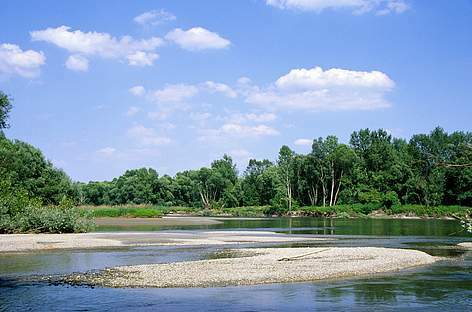 In the Danube Region we are dedicated to protection of wetlands with special focus on the March-Thaya-Auen and the Seewinkel-Region in Austria and the 5-country Biosphere Reserve Danube-Drava-Mura. We also work closely with colleagues in other Danube countries for the protection of the Danube sturgeons. We campaign for halving the energy consumption and the use of renewable ecologically sound energy forms, especially focusing on the prevention of ecologically destructive hydropower plants. WWF Austria strives to increase the sustainability of seafood consumption in Europe and more broadly increase awareness on sustainable diets by informing consumers, empower young people to become active and through strategic cooperation with companies. International, we focus on the issues of protection of tropical forests and marine habitats. The forests alongside the Mekong in Laos, Vietnam and securing the last refuges of wild tigers in Thailand, the protection of the Amazonas region, the assurance of sustainable fishing, nature conservation in the South Pacific and our contribution to sustainable development are our topical and geographical priorities. We develop new and creative approaches for nature conservation in the most species-rich areas of the world and implement them with our WWF colleagues on site, assuming our global responsibility and obtaining a worldwide impact, far beyond the Austrian borders. Please visit our website www.wwf.at for further information.